Bertrand Tavernier based his latest film on a short story by a Madame de La Fayette which was published anonymously in 1662 and tells of a heroine who falls in love with someone other than the man she’s married to, nothing new there then. The Princess of Montpensier (2010) is set at a time when France was torn apart by bitter religious wars and like Patrice Chereau’s 1994 French period drama La Reine Margot includes the notorious St Bartholomew’s Day Massacre of 1572 in which French Catholics massacred between 5000 and 30000 Huguenot Protestants. 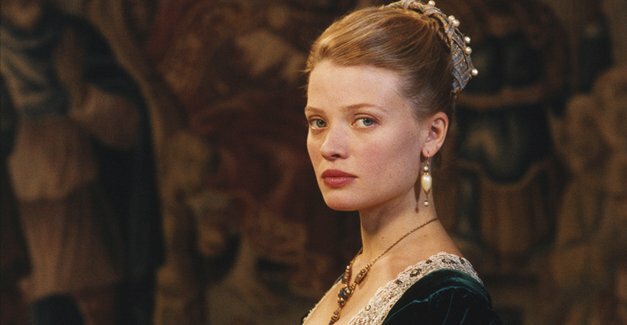 Marie de Mezieres (Melanie Thierry) is a beautiful young heiress who has been instructed by her father that she is to be betrothed to the Prince of Montpensier as part of an alliance between the two families. It is true to say that she does develop affection for her new husband but clearly she remains attracted to her childhood sweetheart, the dashing young Henri de Guise. 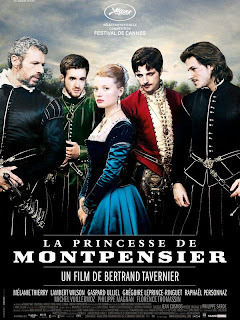 While the Prince is away doing battle he leaves Marie at the remote family castle under the tutorage of his old mentor Francois de Chavannes (Lambert Wilson) who also declares his love for the Princess, get in the queue son, cause the Duke of Anjou fancies his chances as well!! This is what happens when you’ve got no telly. Needless to say she finally settles on the ‘bad lad’ and therefore loses everything ending up in a convent: that will teach the foolish minx!!!! As is typical with most French historical period dramas you get lots of swashbuckling, bloodshed and sexual shenanigans in draughty corridors and massive king size beds. You’d think that with no obvious heating and therefore lots of layers of clothing you would loose interest very quickly, but no they carry on like rabbits. Most women would give their right arm for Marie’s wardrobe, brilliant cinematography, great acting from its young cast and it was good to see Lambert Wilson let him self go a little after the seriousness of Of Gods and Men (2010). At two hours twenty minutes it’s a long film but soon goes when all that excitement and passion engulfs you.